Yowza started with four treadmills in their Delray Line. The Delray Plus is one step up from the base model. Each of these machines benefits from Yowza’s “factory direct” buying model allowing you to purchase more machine for the money. In addition, Yowza’s manufacture, a company in Taiwan called GreenMaster, is well known for making machines for more than 25 years. As mentioned, the Yowza Fitness Delray Plus treadmill was one step up from the base Delray model. With each version, you will find slight differences in motor size, tread belt thickness, and deck length. Along with these changes, you will also find a difference in price so it is important to see which model is the best fit for your goals and budget. The Delray Plus has a slightly larger motor than the base model (3.0 HP vs. 2.75) and a tread belt that is 0.2mm thicker allowing for slightly better wear over the belt’s lifetime. The biggest difference between the two models is that the Delray Plus has a 60” deck compared to a shorter 55” on the Delray. This is an important consideration if you are taller or plan to run. NOTE: This model is no longer produced by Yowza. 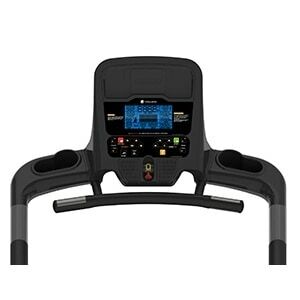 We’d recommend you check out the NordicTrack C990 instead of this machine. Something’s up with Yowza lately and we’re not confident in the direction the company has taken. 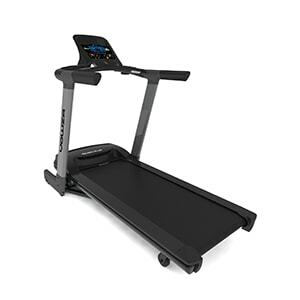 Deck and Shock Absorption Design — The Delray Plus treadmill has a Swing Arm Suspension that allows for a stiffer running surface where the entire deck moves with your running motion. This form of suspension helps protect your knees, hips, and back in a similar way that professional wrestling mats protect fighters. The entire deck will cushion your impact as opposed to individual grommets that you will find on other machines. This is a patented design unique to Yowza treadmills and many people will tell you they love the effect. It is all up to your personal preference. 3.0 Continuous Duty HP Motor — This is a quiet motor that benefits from a strong lifetime warranty. It should easily accommodate heavy use from runners. 20? x 60? TreadBelt — This is a good deck length that should work well for most individuals. Treadbelt – The belt on this machine is 1.8mm, which is 0.2 mm thicker than the base model Delray. 300 Lb. Unit Weight —It is important to have a strong frame that can handle running. Yowza delivers. Mediaport – The media port on the Delray Plus includes a cable to connect your MP3 player. We like that the port area does not block the regular treadmill display. Workout Programs — Fifteen programs are include d on this machine with the ability to save seven user profiles. There is a nice variety of programs including a 5K LEARN program, a heart rate control program, intervals, and a fitness test. Heart Rate Control — The Delray Plus comes along with a wireless heart rate chest strap that will take accurate and ongoing readings of your heart rate during your work out. This will help you determine if your workouts are providing the right intensity for your goals. Console Design and Features — The console of this machine is very similar to the other models in the Delray line. It has two narrow based bottle holders, LCD display, quick press incline, and quick press speed buttons. The machine goes up to 11.2 mph and has 12 levels of incline. Warranty – This is a strong Yowza warranty. 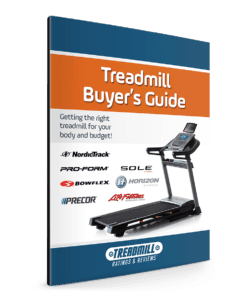 For about $200 over the base model, you are getting a longer deck, thicker belt, and more powerful motor in the Yowza Fitness Delray Plus treadmill. Since this model is no longer produced by Yowza, we recommend you check out some options from a more reliable company like Sole, NordicTrack, or ProForm.